The first-generation Leopard (F30), with its innovative styling and advanced technologies, was presented as a "new genre, new age car", providing high performance and high quality. It was launched on September 30, 1980 with its sibling, the Leopard TR-X (F30Y). The F30's styling was instantly recognizable: it combined smooth curves and sharp lines to create a dynamic, streamlined form. It also featured a slanted nose with headlights set at 26.5 degrees (the highest angle for a domestic model) and sharply slanted windshield, giving it excellent aerodynamic performance (Cd: 0.37). The interior was distinguished by its elegant soft-trim finish, used throughout the cabin. The F30 was equipped with the world's first electronic multi-meter, a drive computer, an audio system with auto-volume control (the first of its type in a Japanese car), tilting/telescopic steering column, and automatic air conditioner (standard equipment for the top-of-the-line model). Nissan also adopted several advanced technologies to ensure a comfortable ride - zero-scrub suspension, ventilated disc brakes (all models), and Japan's first auto-levelizer (standard equipment on the top-grade SF-L). 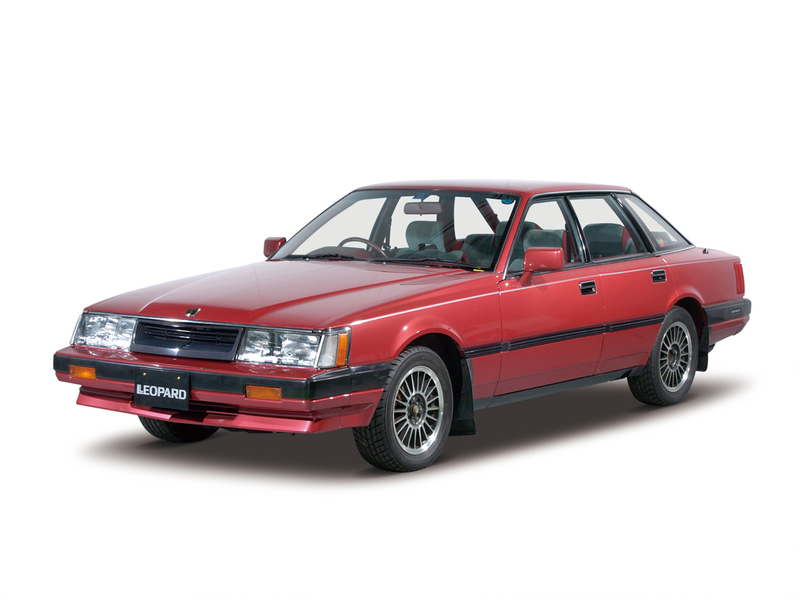 To start with, there was a choice of 2 series, the 4-door hardtop and 2-door hardtop, plus 3 engines: the L28E, L20E, and Z18S. On July 28 of the following year, the L20E turbo engine was added to the lineup. Also, on the September 20, 1982, following a minor change, the front grille was changed to a transparent plastic type. Launched at that time, the 200XZGX was the top of the non-turbo line, equipped with the world's first fiber-optic steering wheel switches (ASCD and audio switches mounted in the center pad), and high-quality plain-weave cloth upholstery as standard.